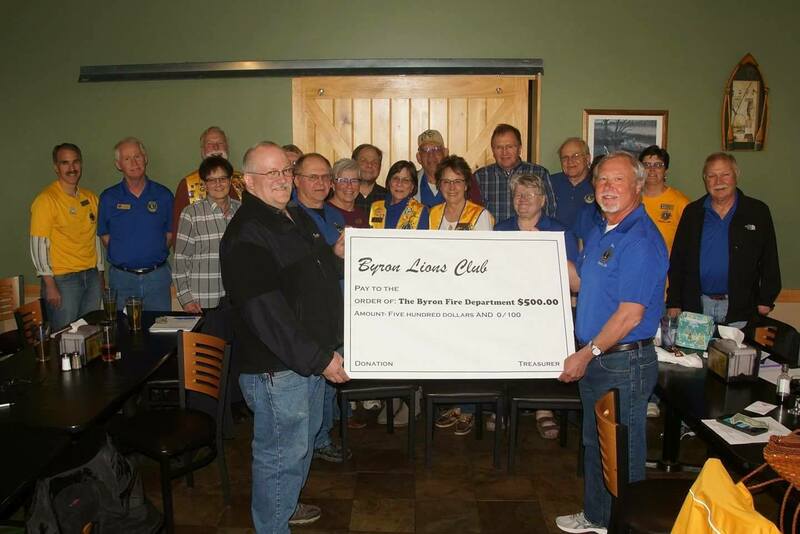 The Byron Lions club exists to serve the community of Byron, Minnesota and our neighbors around the world. The club is affiliated with Lions Clubs International (LCI), a world-wide organization of community service clubs dedicated to the idea that the men and women who live in a community are in the best position to know who needs help and why. Lions Club members help those in need while developing personal friendships and gaining valuable leadership skills.